Seabourn is sharpening its focus on mindful living with two new content-rich wellness cruises with Dr Andrew Weil in the year ahead. Bound for Alaska and Greece, each voyage will feature engaging experts in the field of integrative medicine and Dr Weil, a celebrated physician and best-selling author who partnered with Seabourn to introduce spa & wellness with Dr Andrew Weil, an exclusive mindful living programme at sea. Both itineraries will feature panel discussions, a number of complimentary wellness seminars, and interactive sessions led by Dr Weil and his team, which also includes the onboard Mindful Living coach. A selection of optional, for-charge shore excursions will also be offered, taking the wellness mindset to enriching destinations ashore. The first dedicated wellness cruise with Dr Andrew Weil will explore Alaska on the Wellness in the Wilderness with Dr Weil sailing aboard Seabourn Sojourn, June 16 to 28, 2018. As the vessel makes its way north from Vancouver, British Columbia, exploring wonders such as Sumner Strait, Seduction Point, Tracy Arm, and Misty Fjords en route to Seward, Alaska, the Wellness Cruise programme will unfold with more than 20 complimentary lectures and demonstrations to guide guests in living a life that is healthy, satisfying and well. In the Mediterranean, Dr Weil will sail the region where integrative medicine is rooted on the Origins of Wellness with Dr Weil sailing, October 6 to 20, 2018. 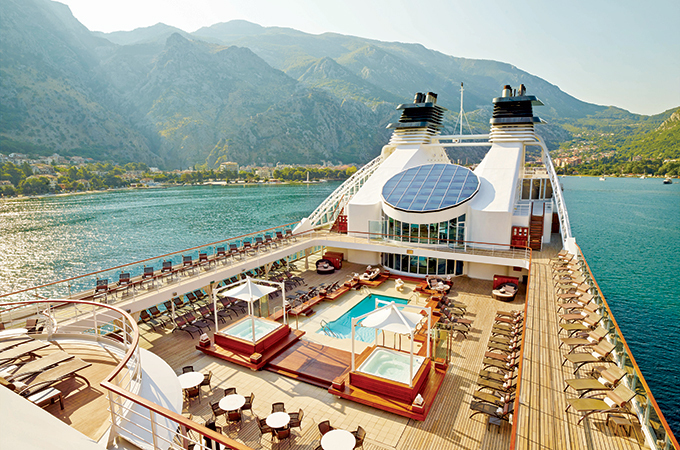 Headed round-trip from Piraeus (Athens), Seabourn Odyssey will take in sights and scenes along and off the southern coast of Greece including Mykonos, Crete, Naxos, and Rhodes, as well as Syracuse, Italy; and Valletta, Malta. The onboard Wellness Cruise programme will include more than 25 complementary workshops and discussions from authorities on integrative medicine.